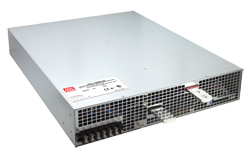 RST-10000 Series are 10000W single output AC/DC power supplies with wide range 3 phase AC input and output voltage options of 24VDC, 36VDC and 24VDC. 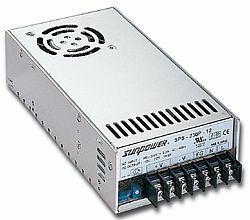 RST-10000 have wide range, external control signal, voltage and current adjustment functions and two over load protection mechanisms in the form of continuous constant current limiting mode and constant current limiting with delay shutdown after 5 seconds mode; increasing the flexibility in its within high power system design. 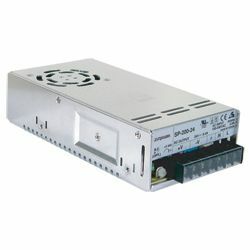 RST-10000 Series have built-in active PFC function and working efficiency up to 91%; the built-in fan enables the series to supply full load output at ambient temperatures under 50°C. 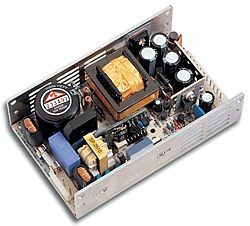 The Parallel function is built in to allow 2 units to be connected and supply an even higher power output. Other functions include remote sense function, 12V/0.1A auxiliary power, alarm signal output for AC fail, DC OK, fain fail and over temperature protections.